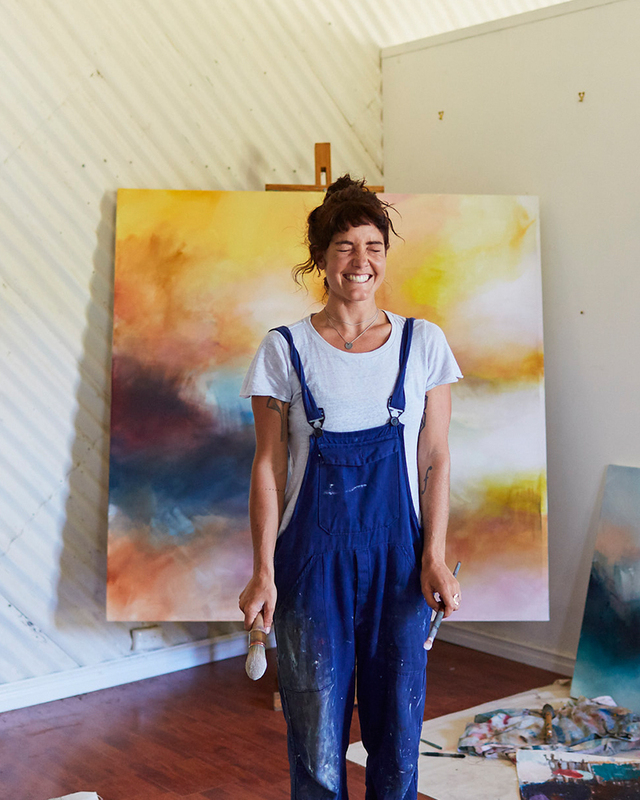 There’s little need for extra incentive to head to the Margaret River region at any time of the year, but if you have to choose one week to do it, make sure it's when Open Studios is on. The 16-day window between 27 April and 12 May sees more than 100 artists throw open their studio doors and welcome you into their creative worlds, for free. Revellers can enjoy the incredible working studios of a variety of artists. From the local favourites and well-known sensations, to the travelling international residents bringing a global influence, to the young and emerging talent emanating from the region. It’s the latter that we shine a light on here, so get yourself an Open Studios event guide and start circling. Here are all the young and emerging artists you need to visit at this year’s Open Studios. 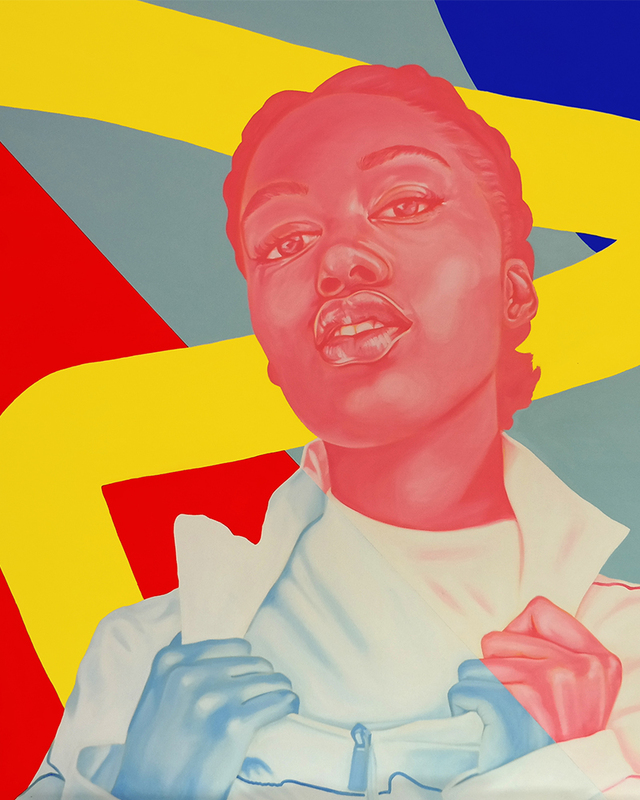 Known for her brightly coloured, large-scale portraits, Chloe Wilder's work is somewhat reminiscent of pop-art, yet distinctly modern. Her most recent body of work is, in fact, a study of the modern female portrait. Wilder trawls Instagram finding faces to steal and laps up the response she gets from their owners once she’s painted them. She’s asking a lot of questions, namely: ‘what even is a portrait in the era of Selfie culture?’. Totally self-taught, Bobbie McCain wields a pretty interesting artistic weapon; that of pyrography, the art of burning an image into wood using heat or flame. Discovering this practise as her main medium was when it all came together for McCain. She says she ‘needs warmth to function’ and is a ‘fire sign’. Inspired by the south west region, she uses Marri wood as her canvas, and some of her larger works also experiment with the use of blowtorches. Colour. Movement. Shape. They’re the fundamentals of art, but Alice Linford Forte wrangles these techniques in a way that’s completely intuitive and unique to her. Passionate about using art to express herself as authentically as possible, Forte’s works are extensions of her mood; sometimes messy, colourful and smudged (we’re guessing energetic and joyous) and sometimes gloomy, with more negative space (maybe, confused or anxious). Regardless, her work will make you feel something, that’s for sure. Drawing, mixed media, painting, printmaking you name it, Helen Bos does it. Greatly inspired by mathematics and the ‘language of numbers’, Bos’s work is heavily patterned and layered. The ancient nature of numerology is also a source of influence, as well as a childhood spanning South Africa, The Netherlands and the UK, and as such her work is extremely global. If there is one word to describe Ian Mutch's work, it’s playful. But that wouldn’t quite do justice to his precision, imagination and skill. Working across acrylics, aerosol and inks on a variety of scales, each of Mutch’s pieces are intricate studies in enjoyment, complete with whimsical characters, elements of nature and nods to far away universes. 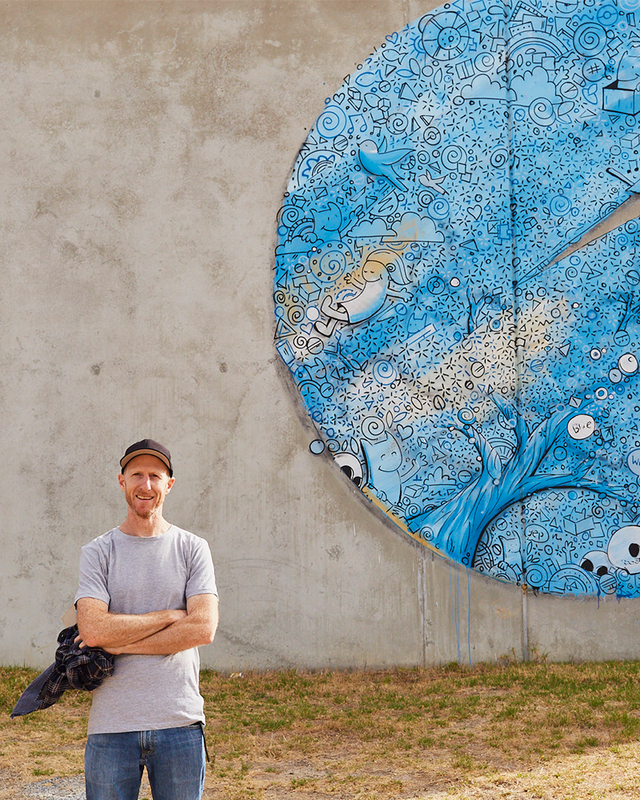 His work has been commissioned by some pretty major brands and featured in public spaces across Australia. Combining a modern twist on vintage American tattoo art with Mexico’s famous Día de Muertos style, Karl Heussenstamm is surely one of the most surprising artists to come out of the Margaret River region in a while. Think retro female pin-ups, ironically lively skeletons and wild animals interspersed with bold colour combinations and heavy black lines, and you’re on the right track. Exploring the interplay of light is Amelia Jajko’s forte, and the result? Lively artworks that capture the feeling you get when you’re splashing in the ocean at sunset, or watching the river glisten, or holding your breath and swimming the whole length of a pool. In other words, the feeling of bliss. Looking for more things to do down south? Look here.